From gas prices to the environment and being able to use the carpool lane, there are many reasons to start carpooling. The question is, how do you easily find people that happen to be driving to the same destination as you? Luckily, as with almost everything in this day and age, there are Web apps to help you with this very query. For a double whammy of savings, make sure to check out our list, Check Gas Prices Online: 11 Handy Tools to find the cheapest gas for you and your carpooling buddies to split. Avego.com - Avego is a service accessible via the iPhone or an average cell phone that allows you to get rides at a moment’s notice. The service uses GPS to allow drivers and riders to find each other. Via the GPS function you get exact directions indicating where to pick up and drop people off, and also get a running tally of how much the ride costs. After the ride is over, both the driver and passenger can rate one another. CarpoolConnect.com - Offers up international carpooling opportunities for people mainly in the USA, Canada and Europe. CarpoolWorld.com - CarpoolWorld has been around since 2000, and continues to provide matching services for those looking for drivers and passengers. Also offers the ability to set up carpool groups for your company, club, sports team or just about anything else you can think of. DivideTheRide.com - A carpooling site designed to get your children around to their activities. One person starts it, they invite people they trust, and then a calendar is created. Reminders are sent via email and text message. eRideShare.com - Assists you in finding rides for daily carpooling, cross-country travel, running errands, or even to special events & club meetings. GishiGo.com - A ride sharing system that charges $.99 for creating a post as either a driver or passenger, and allows you to post reviews of the experience after it’s over. GoLoco.org - A social network style carpooling site that makes sure everyone pays their share of the expenses. Each mile of a proposed trip is calculated at $.50, then split between the number of people and then GoLoco receives a 10% share of the transaction. GooseNetworks.com - A service focusing on corporate websites to allow your employees to find people they can share rides with, providing them with public transit schedules, and more. iCarpool.com - Assists you with finding carpooling partners for work, long distance trips, events and more. Works for members in Australia, Canada, Europe and the USA. NuRide.com - NuRide offers sponsored carpooling. Set up your ride, confirm that it actually occurred, and you can earn points towards rewards such as gift cards, discounts and more. All members must belong to a company or organization so as to remove some of the anonymity. PickupPal.com - Sign up for carpooling for work, long trips, to events and more. Focuses heavily on reducing your carbon footprint on the Earth. Pooln.com - A car pooling site with a social networking structure. Give it a try by entering the zip code where you live and the one for your office to see if there are any members who match up with your needs. RideAmigos.com - Use the RideAmigo’s RideMatcher system to enter your trip or commute, and find people with a matching schedule that you can share a ride with. The service also shows the environmental impact reduction of the people sharing a ride. Also offers a corporate version, which restricts results to people within your company. RidePro - A white label solution for companies and cities looking to set up their own carpooling site. RoadSharing.com - Enter the route for your proposed road trip and find people to share the ride with and split the costs. Has lots of international members, and it’s easy to spot who has the vehicle and who is looking for one. TrafficBulldog.org - Billed as a commuter advocacy site, TrafficBulldog offers up news and suggestions on reducing traffic congestion via carpooling and other suggestions. Zimride.com - Zimride offers carpooling for just about any distance you can think of in the USA. They have a Facebook application and have already built an app to be released to work with Android. 511.org - The San Francisco based 511.org site provides a ride share area where you can find other commuters to pool with in the Bay area. 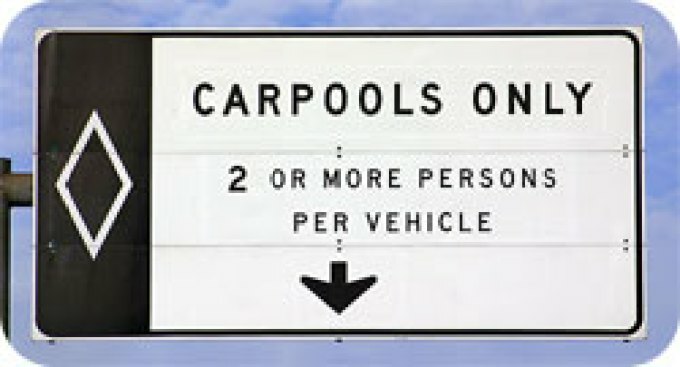 Carpoolers get free bridge tolls during peak hours, and if you start a Vanpool, you can receive up to $900 in gas cards. Car-Pooling.com - Offers carpool matching for France, Germany, Italy, Spain and the United Kingdom. Carpool.ca - Canadians get their own carpooling site with Carpool.ca. Find rides, read up on carpooling etiquette, and other general tips. CarpoolMatchNW.org - A carpool site focusing on Oregon and SW Washington. Carshare.com - Carshare is a directory of carpooling services for the UK that you can look up by region or by just looking for ones that serve the entire country. Liftshare.org - Focuses mainly on carpooling in the UK, but also offers up the chance to find walking and biking buddies. MyRideSmart.com - Carpool matching service specific to the Atlana, GA area of the United States. RideArrangers - In operation since 1975, RideArrangers is a program in Denver, CO focused on matching up people for carpools. RideFinders.org - RideFinders is specific to the St. Louis area and provides an interesting incentive in the form of up to six free taxi rides a year. These can be used in case you have unforeseen circumstances that keep you from meeting up with your ride. TheCarpool.com.au - Set up carpooling for work, school and trips for people all across Australia.